If you are a small business owner, an HR representative at a large company, or just have questions about the benefits of working with a 3(21) or 3(38) ERISA fiduciary, look no further, Atlas Financial Group, LLC is here to help! 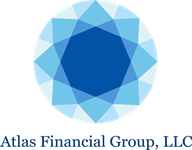 Atlas Financial Group utilizes the services of RPAG (Retirement Plan Advisory Group). RPAG is an organization comprised of over 900 of the nation’s elite retirement plan advisors and represent 410 firms, over 28,000 retirement plans, and more than 200 billion in collective retirement assets under management.